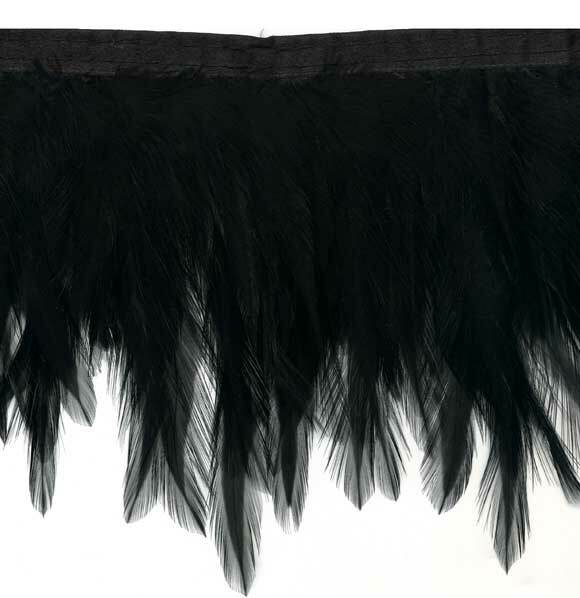 Beautiful & perfectly all black feather wing fringe trimming. Absolute perfection! The feathers are 4" - 5" long.